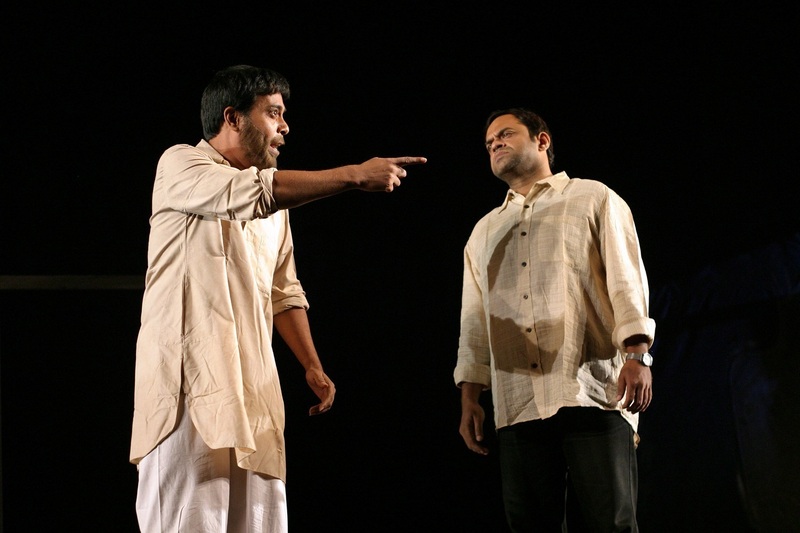 Born in North 24 Parganas, West Bengal, Debesh has been working in the field of theatre for the last thirty three years. He is the founder and director of “Sansriti”. He has directed over 40 plays in Bengali. “Winkle Twinkle”, “Devi Sarpomasta”, “Phataru”, “Saudagorer Nouka” are milestone productions on the Bengali Stage directed by Debesh. Not only proscenium, but he has also directed plays for intimate and site-specific theatre. He is a well acclaimed theatre academic and expert, and has completed a senior fellowship on “Cognitive Neuroscience and Theatre”. He has written several books on theatre. “The Week” magazine felicitated him as one of the ‘Fifty emerging stars of India’ in 2003. Debesh has been honoured by Paschimbanga Natya Academy (Govt. of W.B.) as “Best Director” twice. Recipient of many awards Debesh directed his first feature film “Natoker Moto: like a play” in 2015. It was included in International Film Festival of India (IFFI), Goa in the Indian Panorama and, International Competition Section. Film Critic Circle of India (FCCI) honoured him as best debut director of 2015 for the film. Currently he is working on “Natyashastra”. January 1976, political prisoner Sabyasachi Sen who was in police custody vanished into thin air from a part in Kolkata. Like Rip Van Winkle he returned in the same park in 2002. Everything has changed since then. Old man-Old time tries to face new one. Indra, son of Sabyasachi belongs to a political party which is just opposite to his father’s party. Sabyasachi’s daughter Indrani, a happy-go like girl is totally reluctant to her surroundings,and Rajlakshmi, his wife tries to live the rest of our life with old memories as beiefs as her only treasures. The fantasy of contradictions between Sabyasachi and hais family members his present surroundings, infact, explores the dialectics of reality.